Whatever industry or position you're currently working in, you're ready to move on. You're determined to make a career change and you've set your sights on real estate. What's next? Research the industry well and figure out what type of agent you want to be. Starting out, it may be easier to work with rentals and buyer clients, making your way up to listings. If you know you prefer guidance instead of full autonomy over your business, and the potential for lead capture assistance, perhaps joining a team is the right path for you. And if you know what your work ethic is like and what you value most, check in with local brokerages to see what might be the best fit. Take in as much about this potential new career as you can so you can make educated decisions down the road. Don't blank slate it. Just because you want to leave your previous career in the past doesn't mean that the skills you learned at your last job won't be just as useful in your new job. Embrace all that you've learned and determine how you can utilize this knowledge in the new setting. Keep the contacts. All of those co-workers and clients that know you by name? Don't just forget about them when you make the switch. These will be essential to building up your lead database. 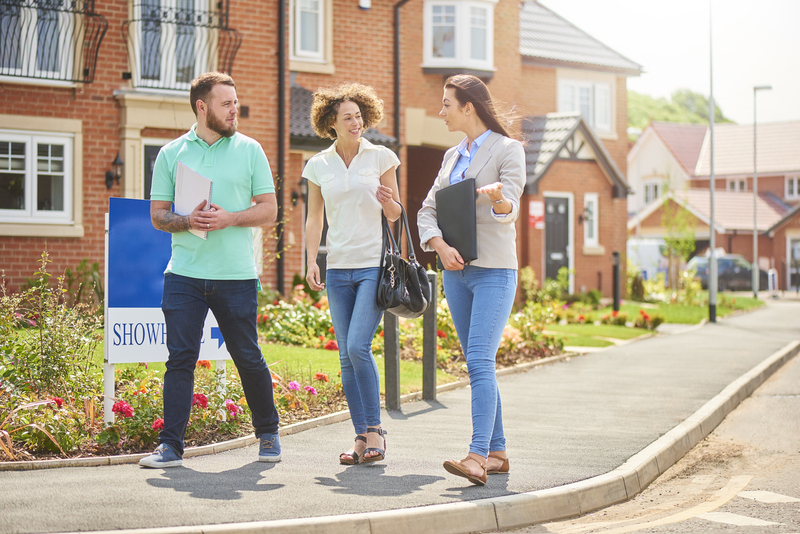 You'll be surprised how many of your first buyers, sellers or renters are actually from your past and are already contacts in your phone or email. Don't let the panic overtake you. Endeavoring a completely new career can be a terrifying prospect, but it's not one that you can't manage. Remember to take deep breaths, frequent breaks and perhaps engage in meditation or yoga while you get settled in your new routine so that you have a chance to relax your mind and those nerves. Bypass mental blocks. Those inner thoughts (or perhaps even negative commentary from friends or family) about not being good enough? Cast them aside. Even more concrete obstacles, such as time constraints or financial doubts, shouldn't stop you. Make a detailed plan so you can see where you're going and how you'll achieve your goals, and you'll be fine. Practice. Practice. Practice. Even before you take your pre-licensing classes, get in touch with an experienced agent and shadow them for a few days. You'll be surprised how much you can pick up just by observing. Start crafting your own scripts and your own business strategies so that you are ready to go by the time you do obtain that license. Before you know it, you'll have experience under your belt, and venturing out for business won't seem so intimidating. Thinking of making a career change into real estate? Let us know what industry you're transitioning from and what your goals are! Yeah.. it was very useful for starting new Career in Real Estate.